We are getting lot of free and paid applications from Android Market, But the sad part is that the application directly install to our phone. 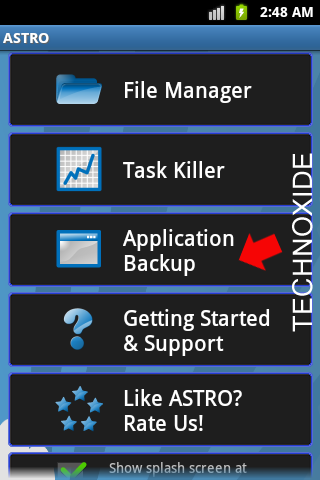 there is no backup for the application. 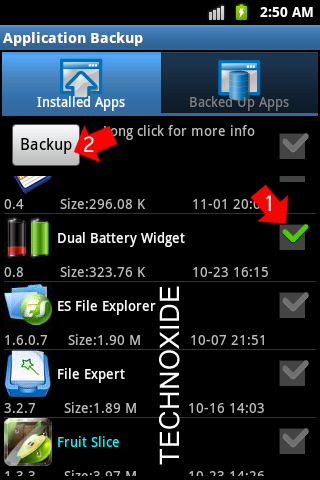 This post giving a simple but very use full trick to backup apps as apk from the installed application. 3.Now you will get a list of installed apps with a checkbox right to it. Check the app you want to backup and click Backup button on Top left of the screen. 4. Done !!! Now goto /mnt/sdcard/backups/apps using any File manager to get the apk file. now you can reuse and share it with your friends.